Tired of hiding your kitchen behind closed doors? Take a look at the Pantoschef kitchen from Driade and make that a thought of the past. 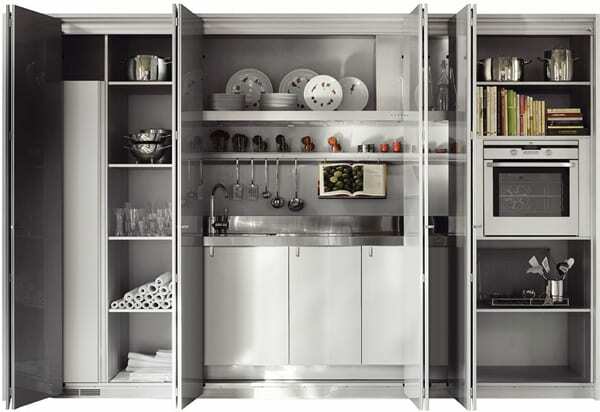 The foldaway kitchen is made up of a technical module of cooking and washing and other additional modules, technical units, and shelves. It has a structure in wood conglomerate with an aluminum finish. 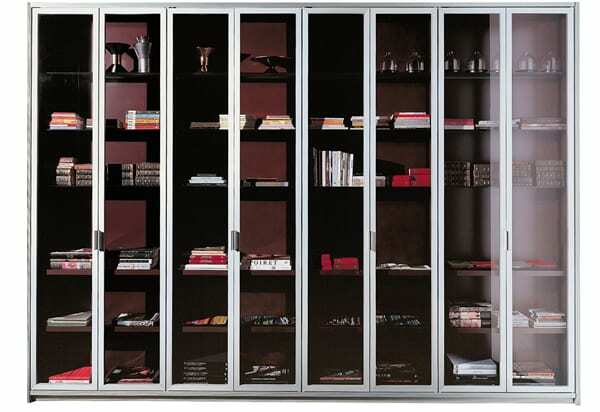 Its folding doors are in frosted glass and are screen-printed. 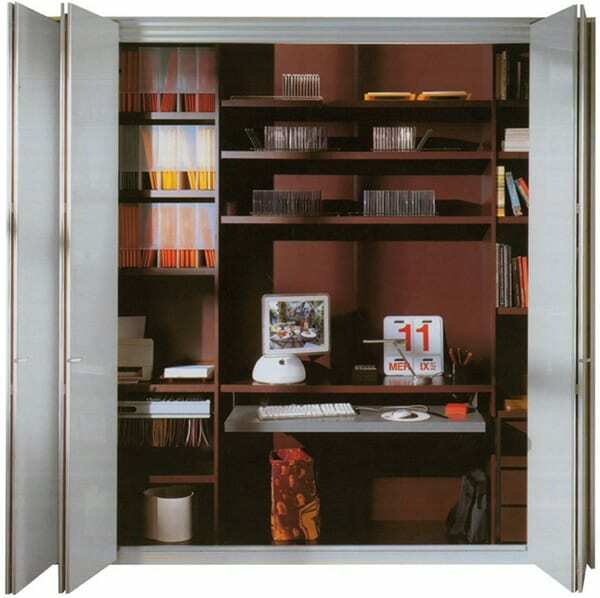 The base doors are available in metallic gray lacquered aluminum or with a retractable aluminum frame and aluminum lined front. The design has a stainless steel worktop and comes with a cooking hob, welded sink, masking dishwasher, fridge, and under-sink base. An aluminum cooking tools shelf and shelf/hood with spotlights complete the kitchen beautifully. If you have an open living area, the kitchen should be the center stage. For many years, kitchens have been banished to their own appointed rooms only accessed through doors. The Pantoschef kitchen from Driade helps you to transition from the old to the new. It changes the way you view your space and offers an all-in-one work area at the core of a flexible living space. This stylish furniture is designed to meet the needs and wishes of modern homeowners. 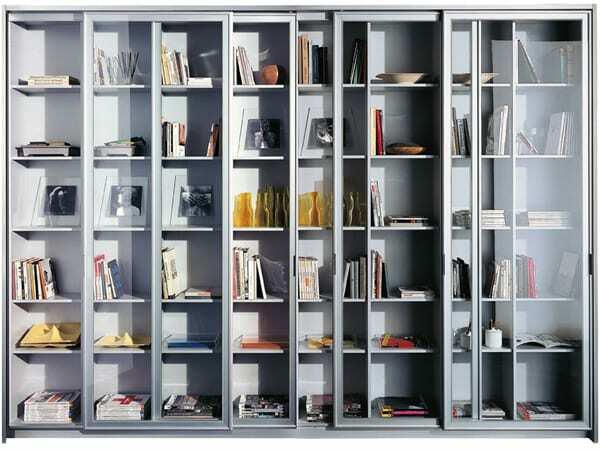 It can fit in one-room apartments in busy cities and looks good in minimalist modern homes. It stands out for its superior form and function and presents an alternative to inflated modern kitchens. Not surprisingly, it was designed by a woman, Antonia Astori, whose talent for merging poetry and rigor is always evident in her designs. What would you store in the Pantoschef?